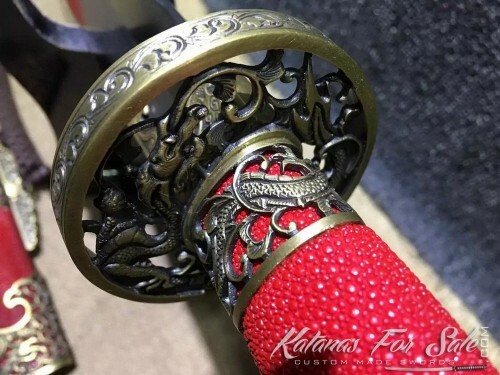 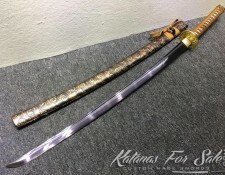 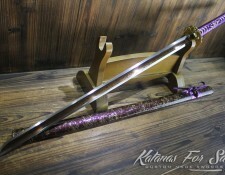 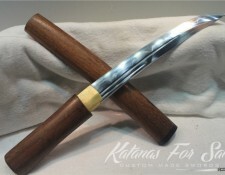 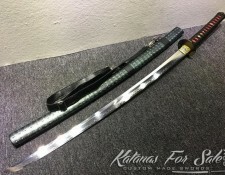 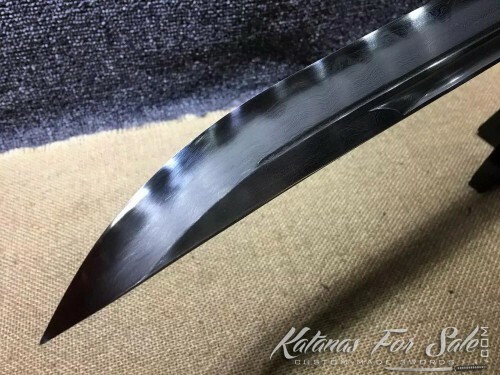 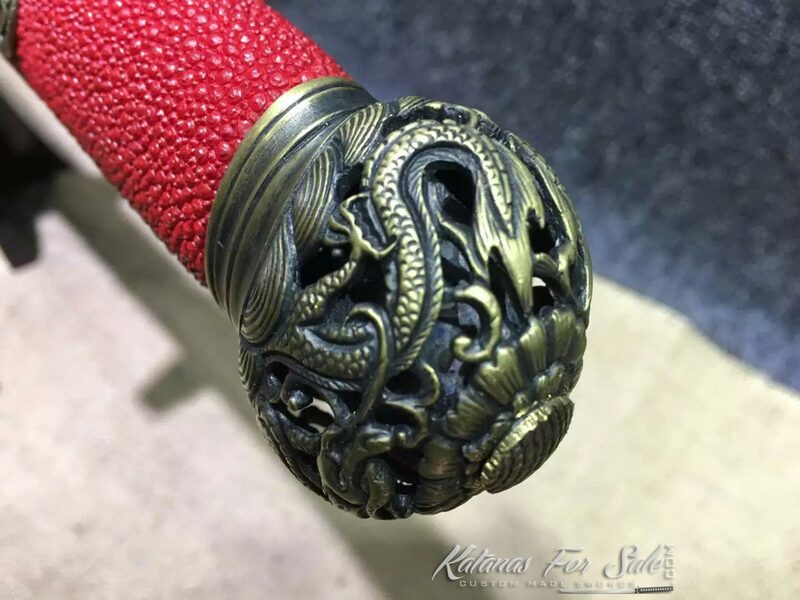 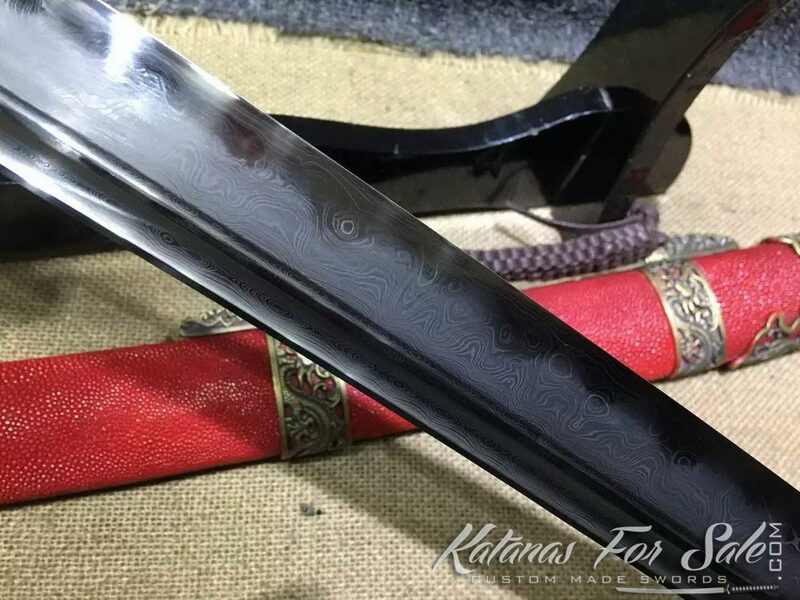 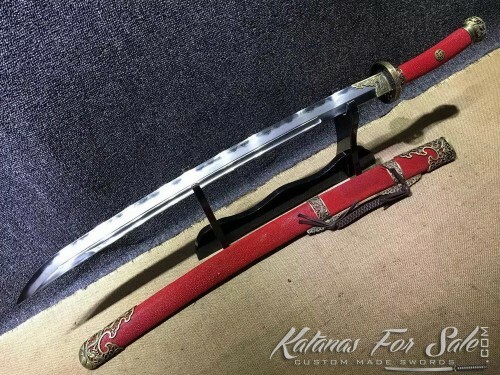 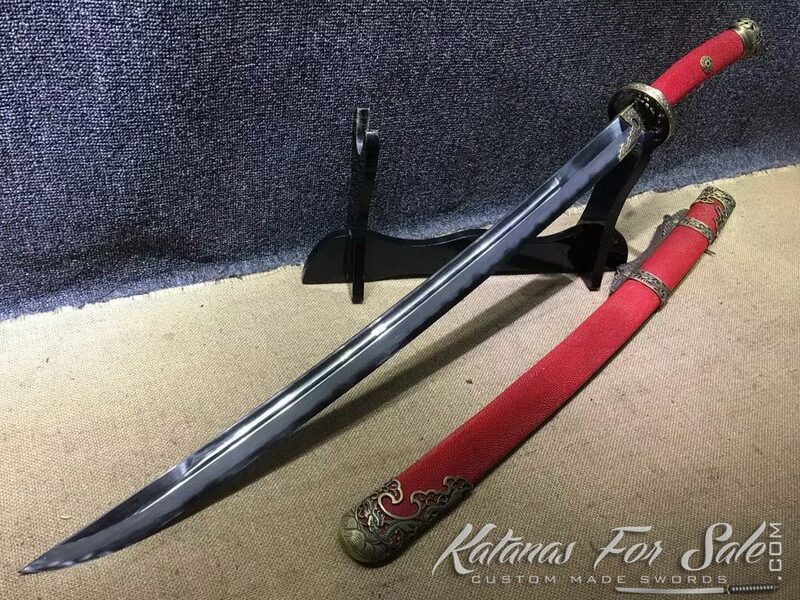 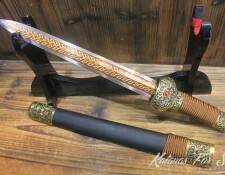 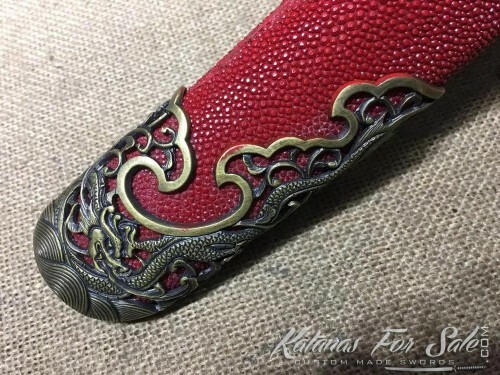 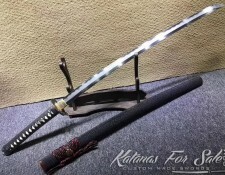 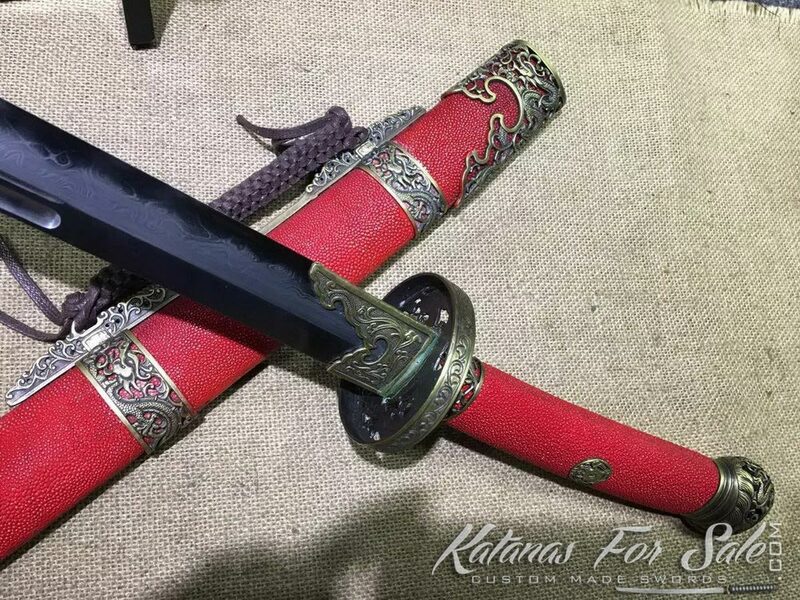 This Chinese Dao sword is made from T10 Folded clay tempered steel and has a high finish with hadori polish and full authentic ray skin handle and saya. 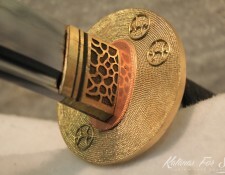 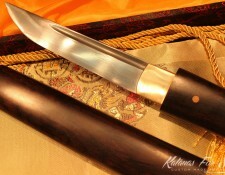 the blade features a reversed handle which allows the wielder to add more power to the cut. 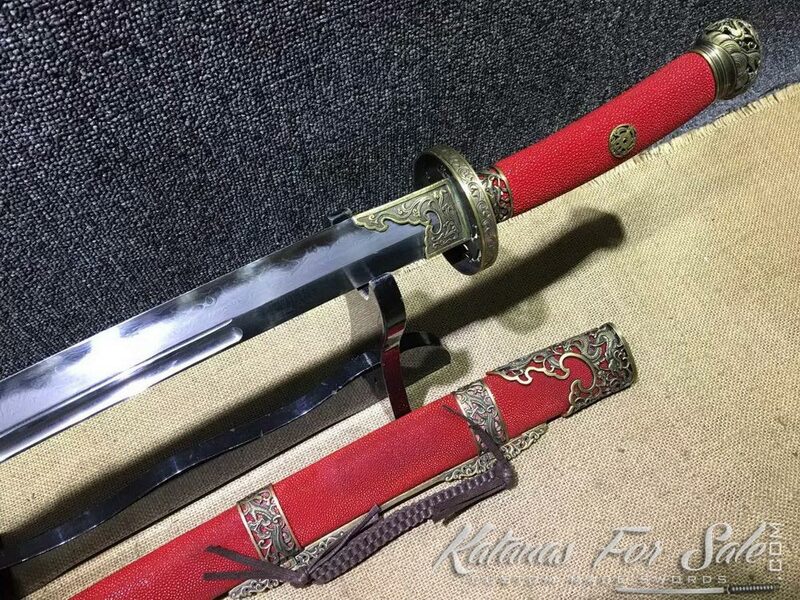 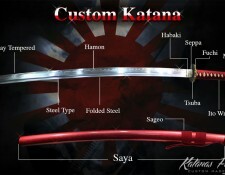 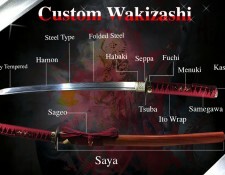 Categories: Clay Tempered Steel, Folded Steel, T10 Tool Steel, Chinese Swords. 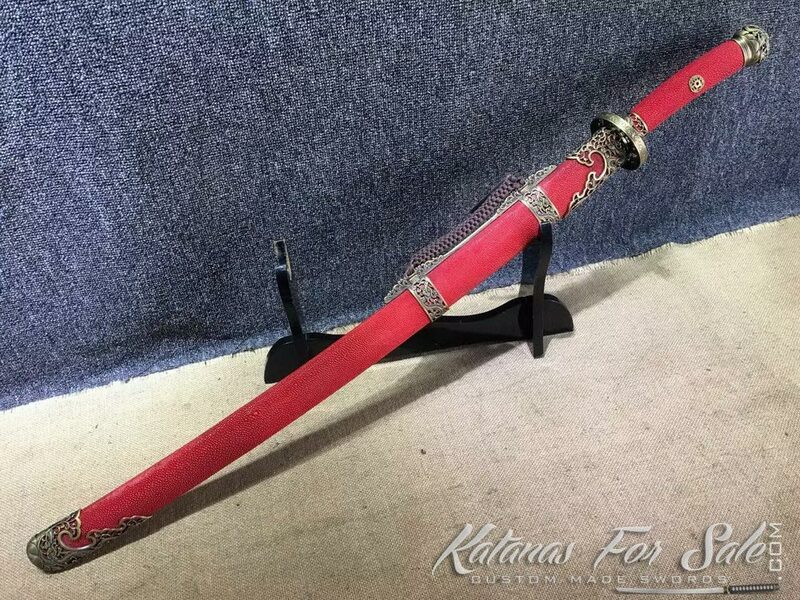 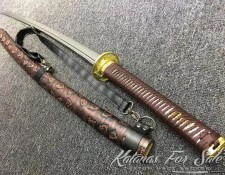 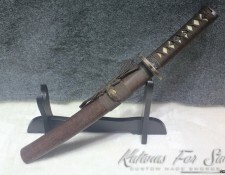 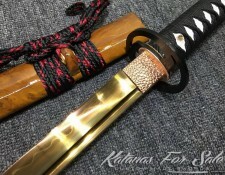 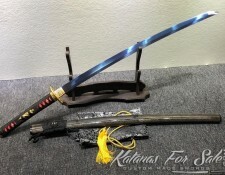 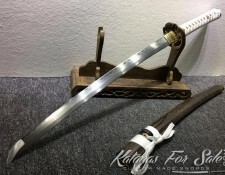 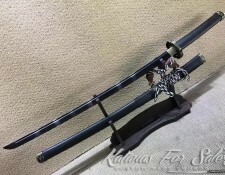 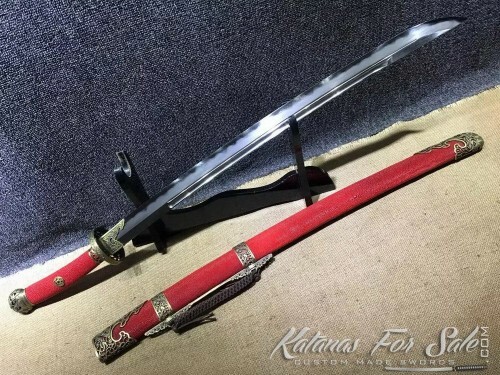 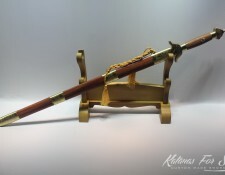 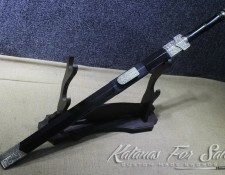 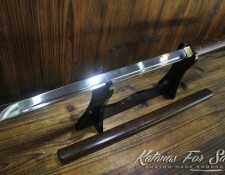 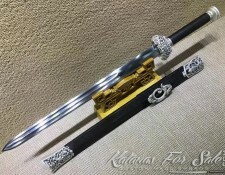 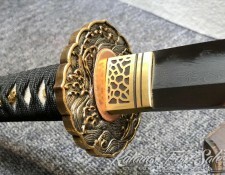 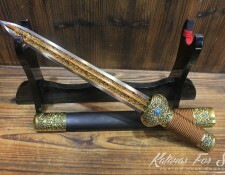 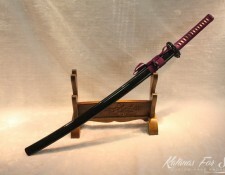 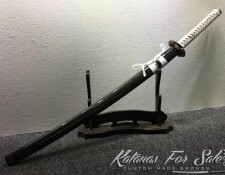 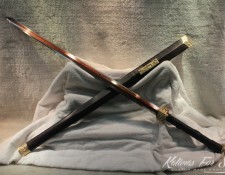 Tags: Chinese swords, chinese swords for sale, dadao sword.